Cyndi’s List – Italy Page – Cyndi’s List has long been the “go-to” source for genealogy information. Her Italy page has more links than I could ever even imagine having on my page! Italiansrus.com – This website has an Italian Surname Collection that you can search and that you can add your family surnames to. Perhaps you will find a long lost family member here! Italian Genealogy Online – All kinds of links to interesting Italian information, including Roman history, Italian art, Mediterranean foods, message boards and more. helpful information for anyone researching in Italy. Click on the RESOURCES link to see some outstanding form letters! Italian Genealogy Homepage – This website is a great resource. There are forums, stories and articles that can help you with your research. Italian Genealogy Links – This site has a list of links to other web sites that have helpful information. 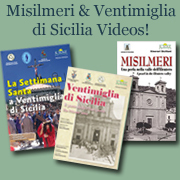 I added it here because it includes links to individual town information for Comunes such as Petralia Sottana, Vizzini, Entellina, and more. Italian Titles of Nobility – Similar to the next web site, this link takes you to information on the nobility in Italy and it’s history, titles and ranks. Nobility of Italy – Includes information about the different titles and ranks of nobility in Italy, the history, and other interesting facts. History of Noble Families – This web site has the actual histories of noble families, showing the titles passed down over the generations. Fascinating to read through, and while the histories themselves are in Italian, the introduction and contact information is given in Italian and English. Nobility of Sicily – This site includes coats of arms and more for each name. Italian Law – Italian Legal Language Services specializes in uncovering unclaimed estates and abandoned property in Italy. Professional genealogists may benefit from the data base records that refer to ancestors presently and previously on title to property. The records produced are official Italian documents and are delivered directly to your computer in a few days. Follow the Italian Law link, click Find Unclaimed Assets, then Unclaimed Property to view a partial list of family names.